Research into innovative nanostructured materials is of fundamental importance for Germany’s technological competitiveness and in addressing global challenges, like the development of renewable energy sources. Nanostructured materials are controlled by size and interfaces, which give rise to enhanced mechanical properties and new physical effects leading in turn to new functionalities. The design of novel nanostructured materials and devices such as flexible electronics demands state-of-the-art nanocharacterization tools. 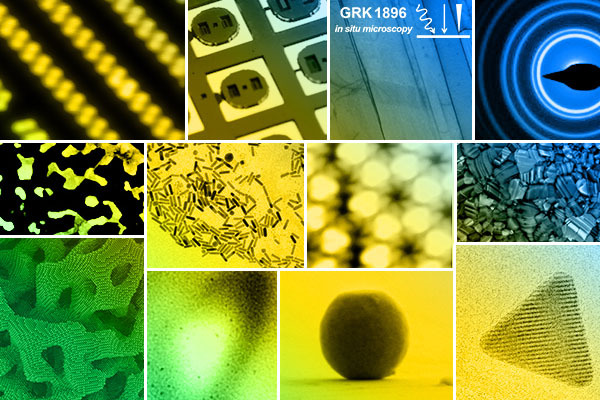 In particular, methods based on short-wave radiation (electrons, X-rays/neutrons) or scanning probes are ideally suited to analyze materials at the nanometer and atomic scale. Recently developed in situ capabilities and the use of complementary characterization methods allow unique insights into the structure formation, functionality and deformation behavior of complex nanostructures. These new in situ techniques will be the future key tools for the development of new materials and devices.